UFC 205 is not just about history. It’s not just about Conor McGregor, and it’s not just about the UFC’s first fight card in New York City at Madison Square Garden. With the full lineup set and stacked with names top to bottom, it’s also about four fighters who take center stage as they fight in the backyard of their respective homes in the Tri-State area. They’re from Philadelphia, New York and New Jersey, respectively. Eddie Alvarez. 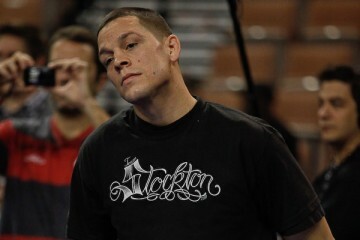 Chris Weidman. Katlyn Chookagian and Frankie Edgar. 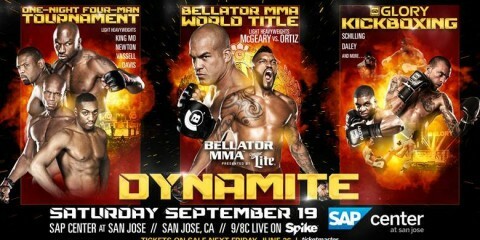 They will be fighting at different times in their career, but they bring a must-watch storyline for each of their individual fights. Chookagian, who won her UFC debut with an unanimous decision nod over Lauren Murphy at UFC Fight Night 91, will look to extend her undefeated eight-fight record when she takes on Liz Carmouche, a pioneer of the women’s bantamweight division. The bout begins the night on UFC Fight Pass. 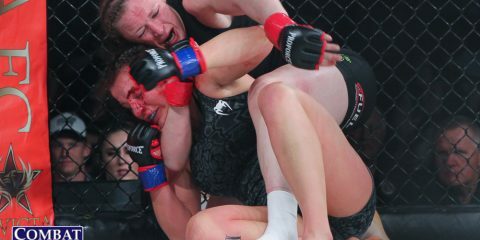 Chookagian is not only looking to extend her winning streak, but the former bartender-turned-MMA-pro is looking to become a name to watch inside the women’s 135-pound division. The 27-year old, who fights out of Kenilworth, N.J., has the opportunity to start the night off right in front of her home crowd and put her division on notice. 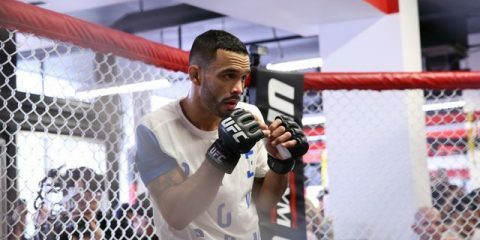 Edgar, who most recently lost his fight to José Aldo for the interim featherweight belt at UFC 200, is out to bounce back and make a statement in what could very well become a wide-open featherweight division. 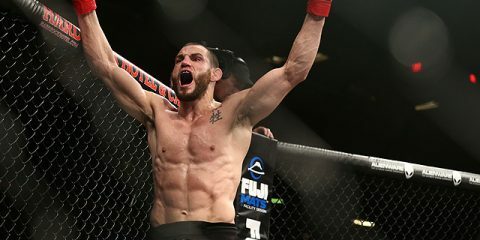 With the future of the title up in the air based on the result of Conor McGregor’s fight with Eddie Alvarez, an Edgar win against Jeremy Stephens would put the Jersey-based fighter right back into title contention. More than anything, Edgar, along with his fellow Tri-State fighters, have put in a lot of work inside and outside the Octagon to get to UFC 205 and turn a dream into reality. Edgar and his cohorts get an opportunity to not only cash in on history, but become one of many reasons that there is history to be made at MSG. 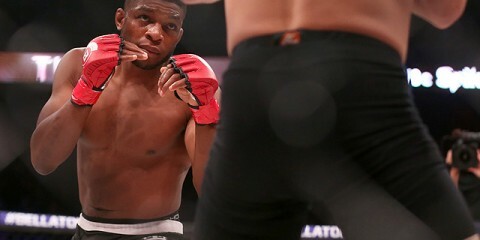 With the future of the featherweight division’s title up in the air, he’s got an opportunity to get back in the win column and earn another title shot. Weidman, the former middleweight champion, takes on Yoel Romero in a possible determination fight for the next middleweight challenger to champion Michael Bisping. Weidman, who has also been a big part of the fight to legalize MMA in New York and making UFC 205 happen, will have a chance to get another crack at the title he lost to Luke Rockhold at UFC 194. Weidman is coming off neck surgery that forced him to pull out of his rematch title fight against Rockhold at UFC 199. 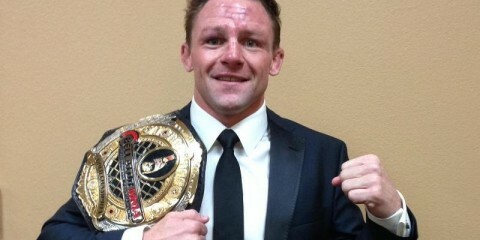 Bisping stepped in to replace him and went on to win the belt. 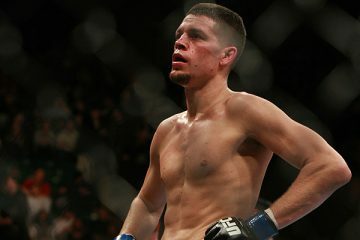 The New York-based Weidman comes into this event with a chance to potentially set up a fight against Bisping in 2017 for the middleweight title. Weidman has only had one loss in his career, and a win over Romero, who has also only suffered one loss, could set up the second chapter in Weidman’s UFC career. Alvarez may not have the same type of storied UFC career as Edgar and Weidman, but Philadelphia’s own “Underground King” finds himself staring at one of the most historic fights in UFC history. As his opponent, the aforementioned McGregor, looks to become the first-ever fighter to hold titles in two divisions simultaneously in the UFC, Alvarez is out to build off his extremely impressive first-round TKO over Rafael dos Anjos at UFC fight Night 90. After finally capturing UFC gold, Alvarez takes center stage for the main event in the UFC’s biggest and most historic card in New York City, just a short trip from his stomping grounds in Philadelphia. He’d love to put an end to the “Mystic Mac” legacy and put a dent in the superstar shield that McGregor has carried throughout his entire UFC career. No matter who you look at on the UFC 205 card, title history and the debut of the UFC in New York are on the table. It’s important to celebrate the legacy and careers of the local Tri-State fighters who will take the spotlight inside Madison Square Garden.